Hertfordshire is a county in southern England that sits directly above London. 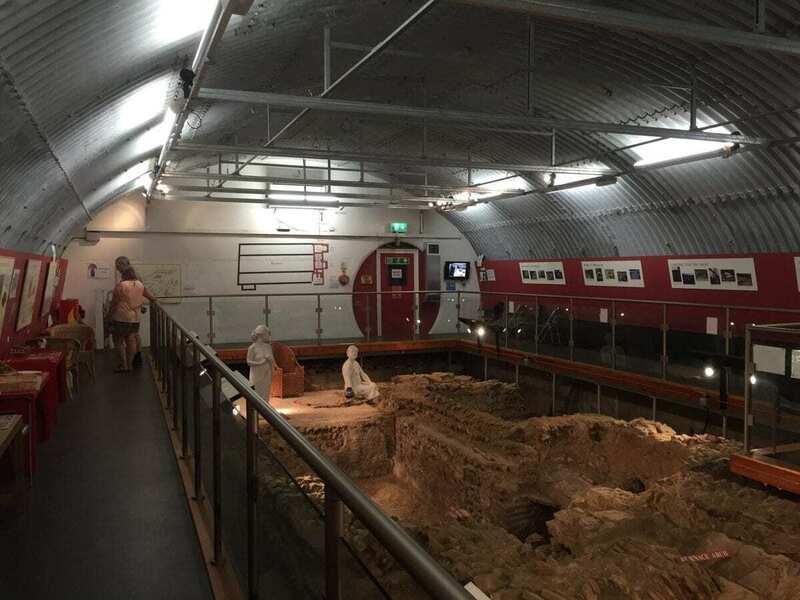 With occupation stretching as far back as the Mesolithic period, Hertfordshire is rich in a variety of historical sites, monuments and ancient ruins waiting for you to explore. Verulamium is a partially excavated Roman town located in St Albans, Hertfordshire. Prior to the Romans establishing a settlement, the town was the centre of the Iron Age Catuvellauni tribe from around 20 BCE. 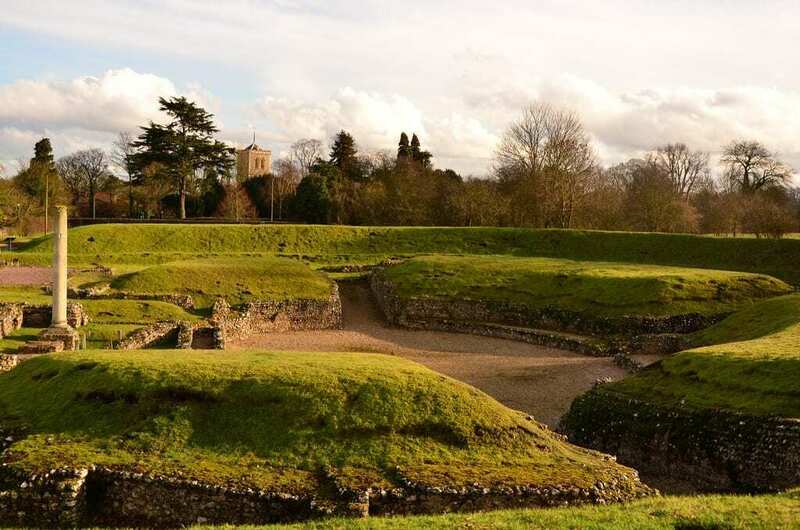 Verulamium was granted the privileges and citizen protection of a municipium around 50 CE and grew into a significant centre of trade. By the 3rd century, the town covered an area of 125 acres, encircled by a protective fosse (ditch) and town walls. (Most probably in response to the town’s sacking during Bouddica’s uprising in 61CE that resulted in Verulamium being burnt to the ground and rebuilt in stone). 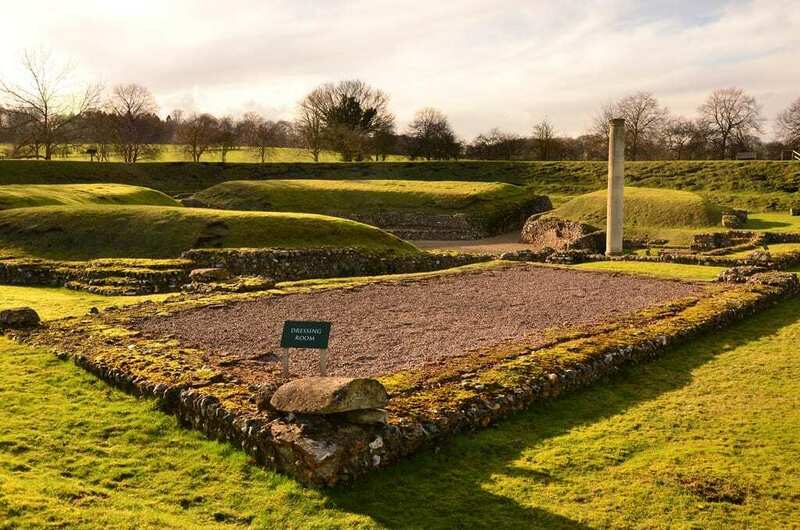 The town contained a forum, basilica and many large dwellings, but the visible remains today include the Roman theatre with adjacent buildings and shrine, a hypocaust, mosaics, the town wall, gatehouse and hundreds of artefacts visible at the Verulamium Museum. 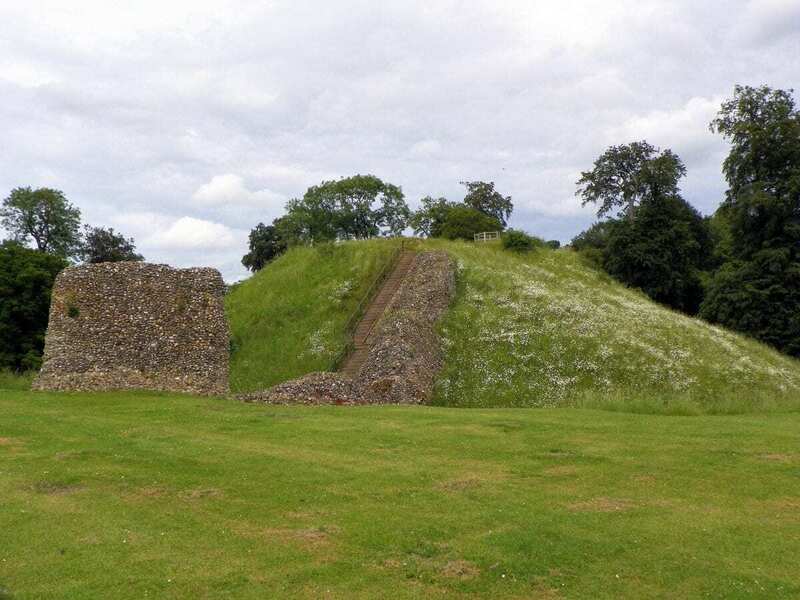 Berkhamsted Castle is a Norman fortress built in the typical motte-and-bailey design in Berkhamsted, Hertfordshire to administer the local Anglo-Saxon settlement in the 11th century. In 1216, the castle’s defences were put to siege with the outbreak of a civil war between King John and the rebellious Barons. 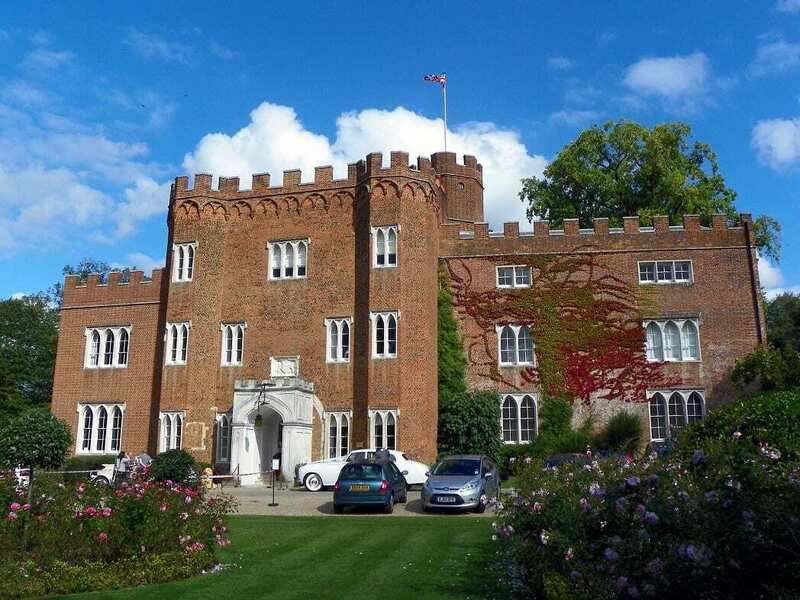 In subsequent years, Berkhamsted became closely associated with the Earls and Dukes of Cornwall who developed the fortress into a palatial residence. 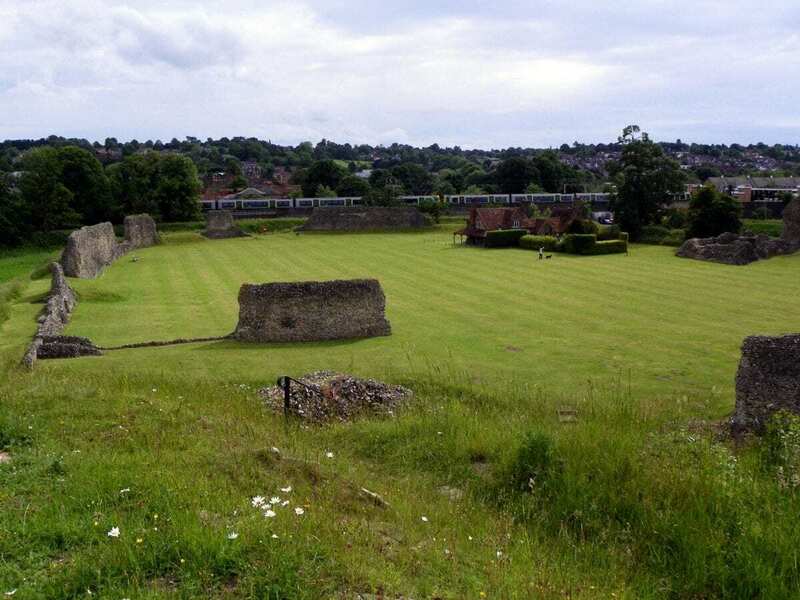 Berkhamsted remained in use as a deer park for hunting and a prison to hold royal prisoners (including John II of France), until its decline from the 15th century. 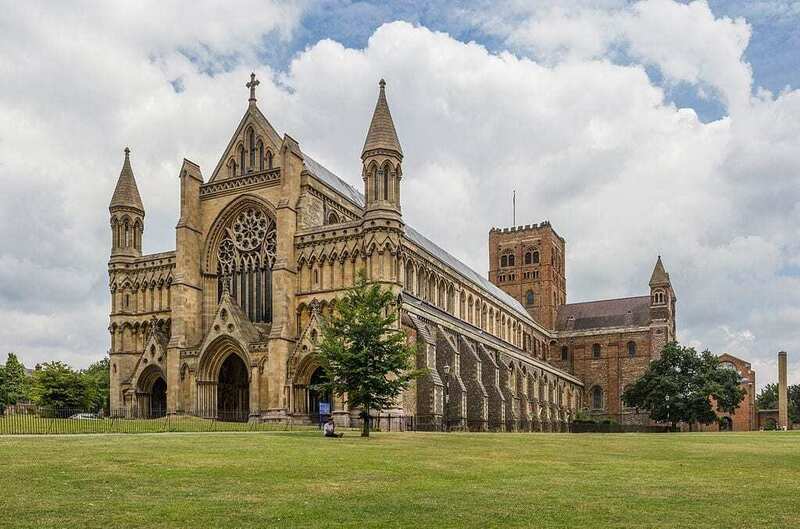 St Albans Cathedral is a church of England cathedral located in the city of St Albans, Hertfordshire. Originally believed to be founded as an abbey during the 8th century by Offa II of Mercia, the building saw successive architectural changes by the Normans in the 11th century, in addition to 19th-century gothic additions by the Victorians. 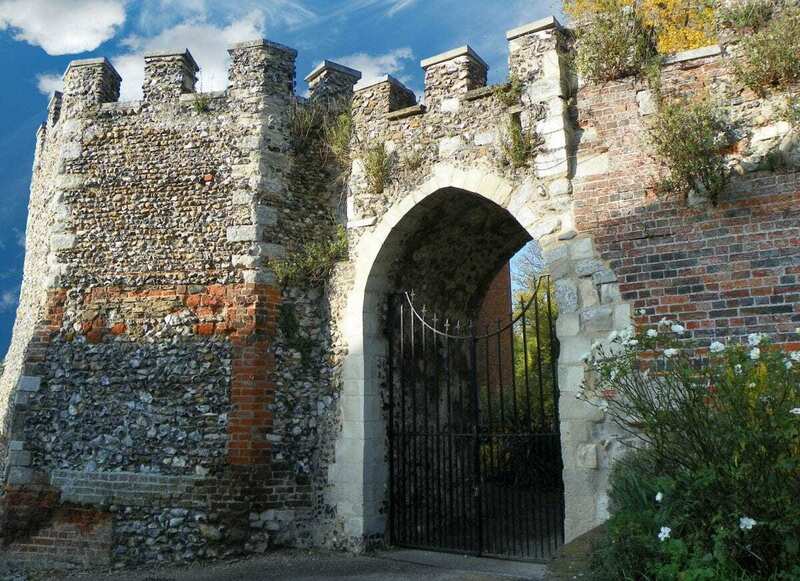 With the ruins of Roman Verulamium less than a mile away, the former Roman town became the prime source of building material for the abbey and cathedrals construction. 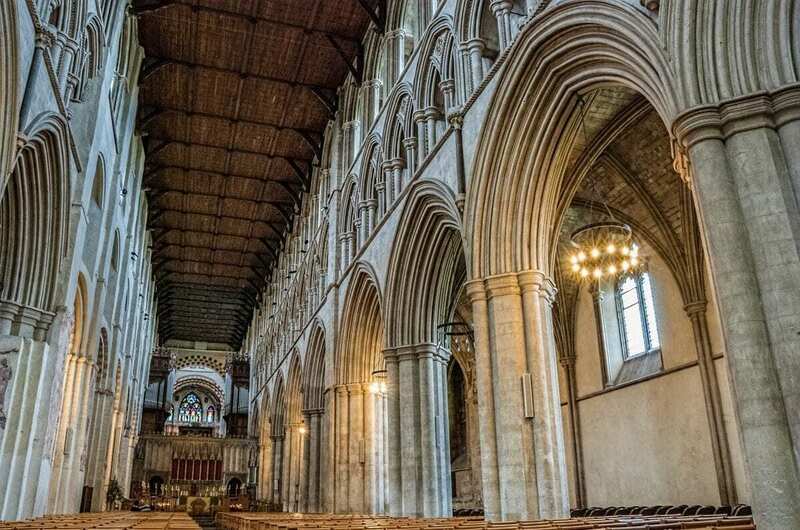 Both the cathedral and modern city are actually named in dedication after a Roman, “Alban” who was the first-recorded British Christian martyr recorded living around the 3rd-4th century. 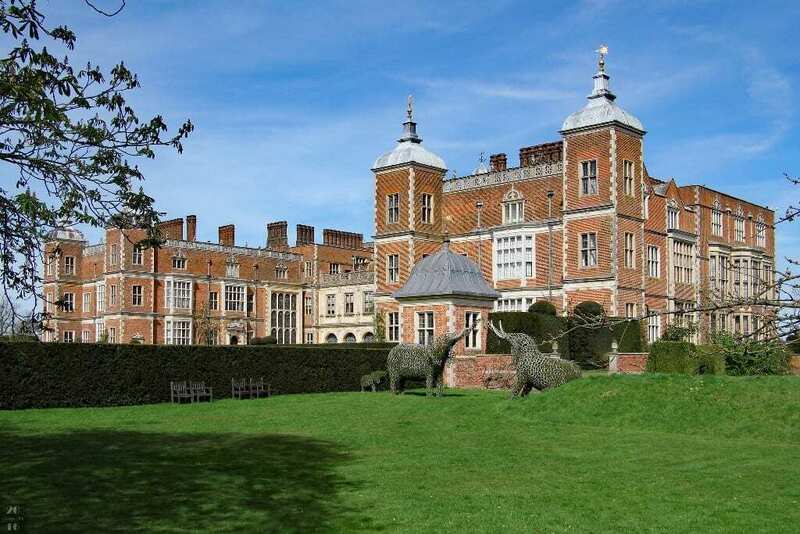 Hatfield house is a large stately home and park located next to the town of Hatfield in Hertfordshire. The present building is a Jacobean construction built in 1611 and the home of the Cecil family. 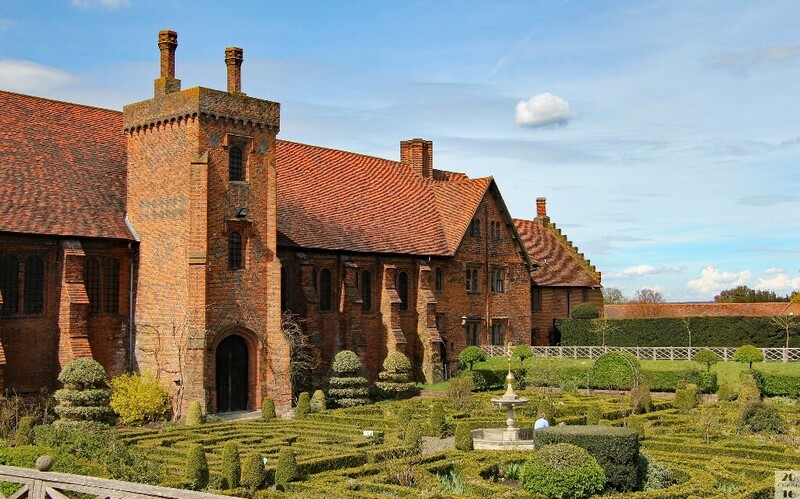 A witness to royalty, the estate is also the site of the Royal Palace of Hatfield that was the childhood home and favourite residence of Queen Elizabeth I. Built in 1497 by the Bishop of Ely, King Henry VII’s minister John Cardinal Morton, it comprised four wings in a square surrounding a central courtyard. Knebworth House is a country house in the civil parish of Knebworth, Hertfordshire. 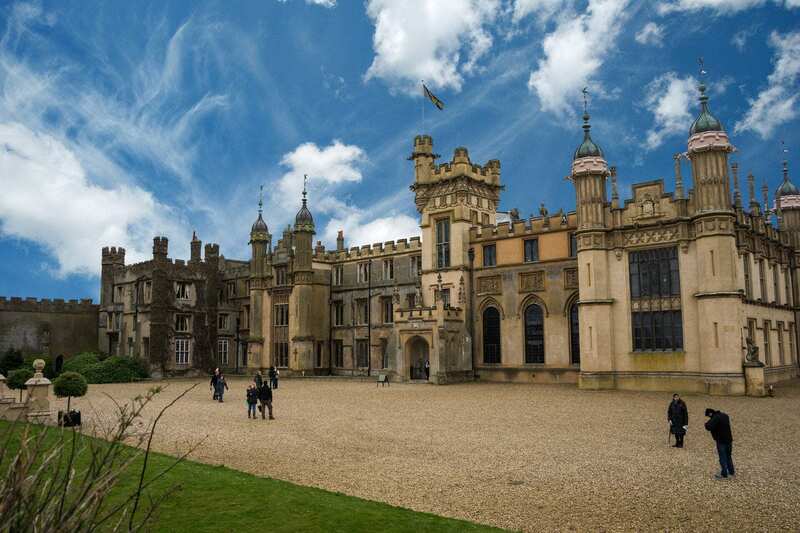 The home of the Lytton family since 1490, Knebworth House was transformed in 1843-45 by Henry Edward Kendall Jr. into the present Tudor Gothic structure. 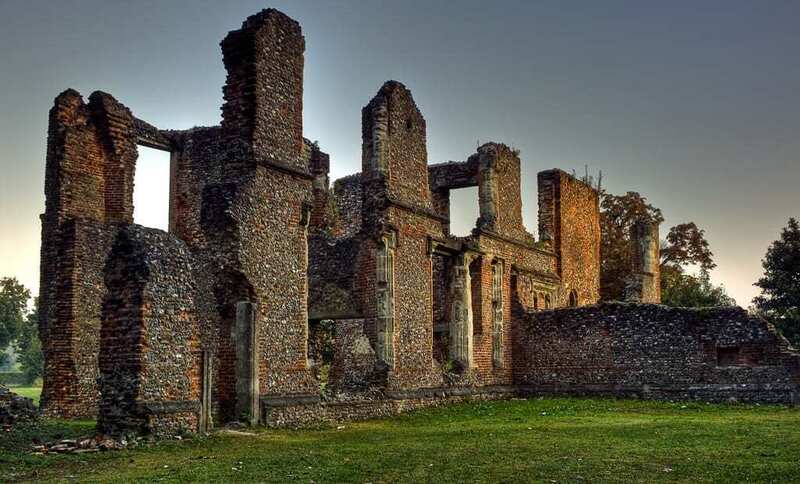 Old Gorhambury house is a ruined Elizabethan manor near St Albans, Hertfordshire. 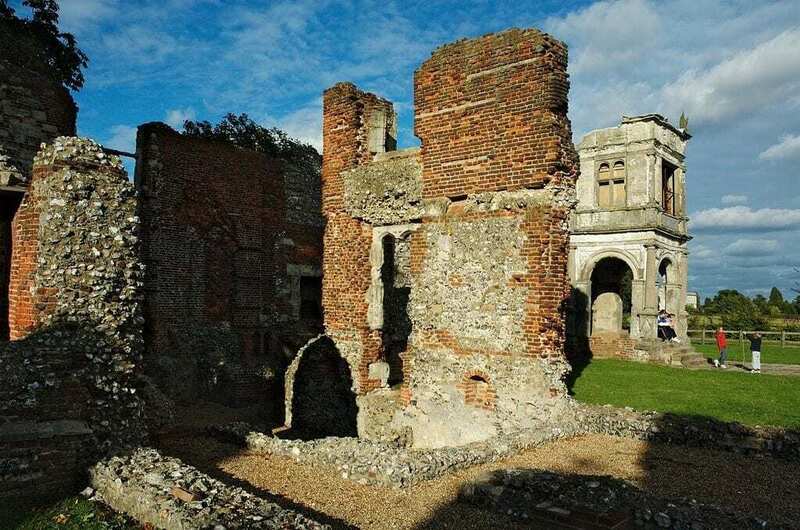 The house was built around 1563–68 by Sir Nicholas Bacon, (Lord Keeper of the Great Seal of England) who recycled bricks from the dissolved abbey of St Albans. Queen Elizabeth herself is known to have visited the house during her time spent in Hertfordshire. Sopwell Priory (Priory of St Mary of Sopwell) was founded in 1140 near St Albans by the Benedictine Abbot, Geoffrey de Gorham. 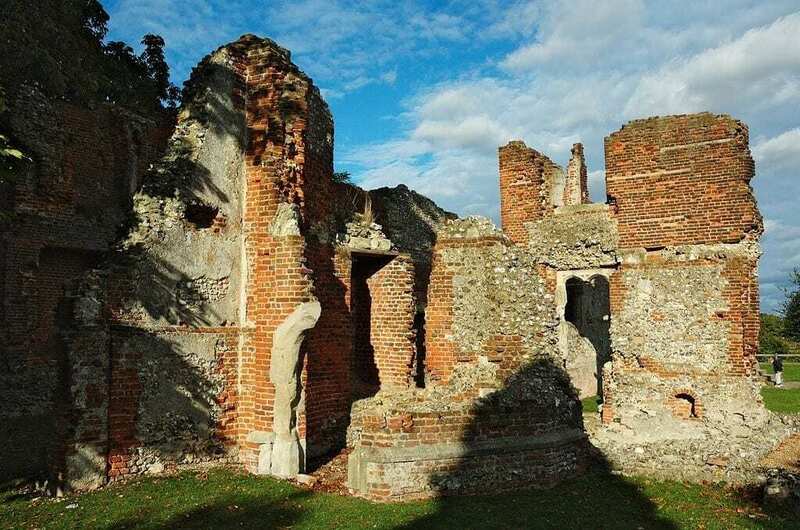 Following the dissolution of St Albans Abbey in 1539, Sopwell Priory was bought by Sir Richard Lee (a military engineer during King Henry VIII’s reign). Lee demolished the priory and built a house which he named Lee Hall on the site. The house was later renamed Sopwell House, the ruins of which remain today along Cottonmill Lane near the centre of St Albans. Hertford Castle was founded as a fortress by Edward the Elder (King of the Anglo-Saxons) around 911 in Hertford, Hertfordshire. After the Norman invasion, the site was further fortified and converted into a typical motte-and-bailey castle. In its turbulent history, the castle has been witness to siege, served as a prison for Templar Knights and Kings, a royal residence and hosted the headquarters for the East India Company College. Today part of the motte, foundations, curtain walls and gatehouse survive. 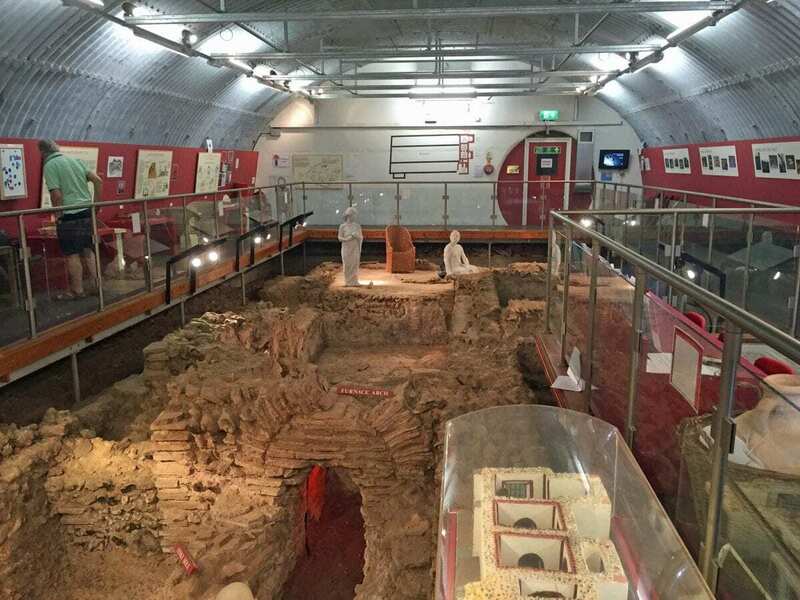 The Welwyn Roman baths are preserved in a vaulted chamber beneath the A1(M) near Welwyn Garden City in Hertfordshire. The baths are part of the Dicket Mead Villa, a 3rd-century farmstead or settlement adjacent to a major Roman highway. Visible remains include the hypocaust, the tepidarium (warm room), caldarium (hot room) and the frigidarium (cold room) floor and cold bath, constructed from opus signinum. Benington Lordship is a Georgian manor house and mock-Norman gatehouse, situated to the west of the village of Bennington in Hertfordshire. The gardens surrounding the house stretch over seven acres and also feature the remains of a Norman motte and bailey castle. Defensive earthworks were first constructed in 1086, with a stone castle being erected around 1136 by Roger de Valognes. The castle passed hands to Robert Fitzwalter, leader of the baronial opposition against King John, and one of the twenty-five sureties of Magna Carta. 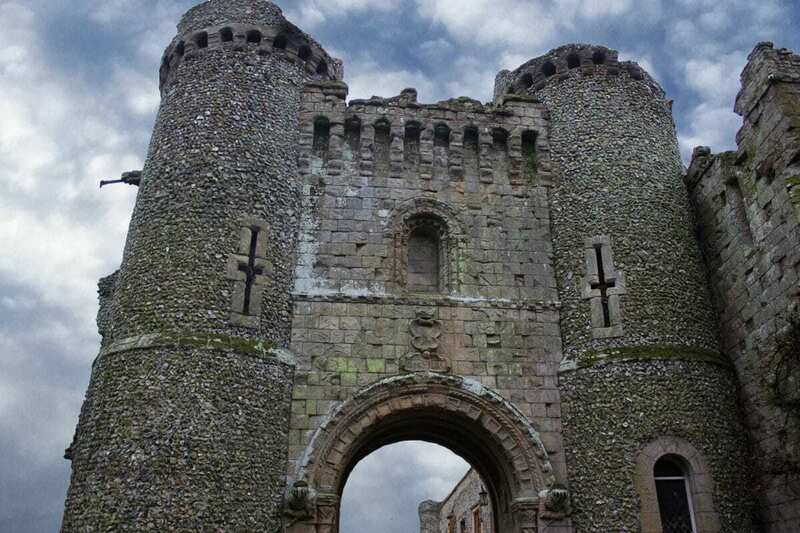 In response, King John ordered Bennington castle to be completely destroyed in 1212.